Though its title is similar to The Forever War and both novels deal with soldiers in the future, Forever Peace is not a direct sequel, and takes place on a different future of Earth much closer to the present day. The Forever War (1974) is a military science fiction novel by American author Joe Haldeman, telling the contemplative story of soldiers fighting an interstellar war between Man and the Taurans. It won the Nebula Award in 1975 and the Hugo and the Locus awards in 1976. Forever Free (1999) and Forever Peace (1997) are respectively, direct and thematic sequel novels. The novella A Separate War (1999) is another sequel of sorts, occurring simultaneously to the final portion of The Forever War. Informally, the novels compose The Forever War series; the novel also inspired a comic book and a board game. The Forever War is the first title in the SF Masterworks series. Using remotely controlled robots called "soldierboys" (which are nearly invincible), the Alliance military fights third world guerrillas in an endless series of economy-driven wars. As only first world nations possess the nanoforge technology that can produce anything from basic materials, conflict is asymmetric. The novel is told partly in first-person narration by the main character, Julian Class, and partly by an anonymous third-person narrator, who is able to comment on aspects of Julian's personality and background. The main protagonist, Julian Class, is a physicist and a mechanic who operates a soldierboy. Thanks to electronic "jacks" implanted in their skulls, mechanics are remotely linked to the machinery as well as to each other, being able to experience battle through the machines and read the thoughts of other mechanics who are simultaneously jacked in. After attempting suicide, Julian and his lover, Amelia "Blaze" Harding, are made aware of a problem with an automated particle physics project that could potentially trigger a new Big Bang that destroys the Earth and the rest of the universe. Because it's so easy to do, it is speculated that universes could potentially have only the lifespan of the first civilization that attempts such a project. When Julian, Blaze, and another physicist submit their paper to a journal's review board, they find themselves the target of "The Hammer of God", a Christian cult bent on hastening an anticipated end of the universe. As the Hammer of God has a secret presence throughout the government, Julian and Blaze narrowly miss being assassinated. The Big Bang theory is the prevailing cosmological model for the observable universe from the earliest known periods through its subsequent large-scale evolution. 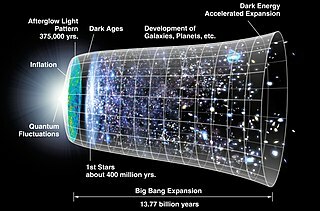 The model describes how the universe expanded from a very high-density and high-temperature state, and offers a comprehensive explanation for a broad range of phenomena, including the abundance of light elements, the cosmic microwave background (CMB), large scale structure and Hubble's law. If the observed conditions are extrapolated backwards in time using the known laws of physics, the prediction is that just before a period of very high density there was a singularity which is typically associated with the Big Bang. Physicists are undecided whether this means the universe began from a singularity, or that current knowledge is insufficient to describe the universe at that time. Detailed measurements of the expansion rate of the universe place the Big Bang at around 13.8 billion years ago, which is thus considered the age of the universe. After its initial expansion, the universe cooled sufficiently to allow the formation of subatomic particles, and later simple atoms. Giant clouds of these primordial elements later coalesced through gravity, eventually forming early stars and galaxies, the descendants of which are visible today. Astronomers also observe the gravitational effects of dark matter surrounding galaxies. Though most of the mass in the universe seems to be in the form of dark matter, Big Bang theory and various observations seem to indicate that it is not made out of conventional baryonic matter but it is unclear exactly what it is made out of. 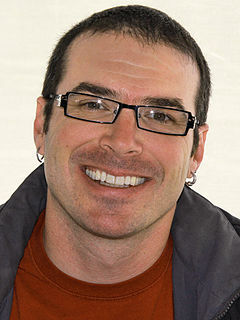 Marty Larrin, one of the inventors of jacking technology, recruits Julian and Blaze in an attempt to use the technology to end war for all time; a little-known secret is that jacking with someone else for a long enough period (about two weeks) will psychologically eliminate the ability to kill another human being. By "humanizing" the entire world, dangerous technology would not be a problem for human survival. They do so, stop the particle accelerator's construction, and the war is eventually ended. Vernor Steffen Vinge is an American science fiction author and retired professor. He taught mathematics and computer science at San Diego State University. He is the originator of the technological singularity concept and perhaps the first to present a fictional "cyberspace". 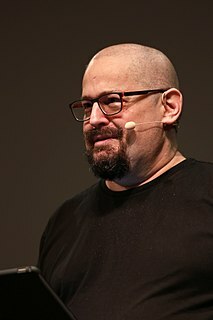 He has won the Hugo Award for his novels and novellas A Fire Upon the Deep (1992), A Deepness in the Sky (1999), Rainbows End (2006), Fast Times at Fairmont High (2002), and The Cookie Monster (2004). 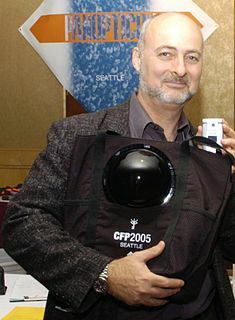 Gregory Dale "Greg" Bear is an American writer and illustrator best known for science fiction. His work has covered themes of galactic conflict, artificial universes, consciousness and cultural practices, and accelerated evolution. His most recent work is the Forerunner Trilogy, written in the Halo universe. 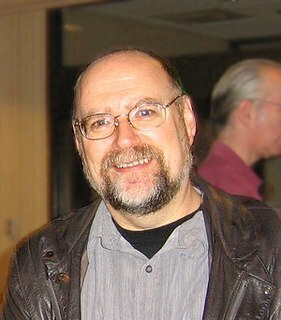 Greg Bear has written 44 books in total. 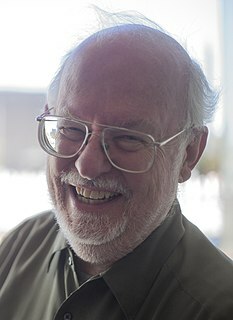 Greg Bear was also one of the five co-founders of the San Diego Comic-Con. Jack McDevitt is an American science fiction author whose novels frequently deal with attempts to make contact with alien races, and with archaeology or xenoarchaeology. His two main series are the Alex Benedict series and the Priscilla Hutchins series. Gene Rodman Wolfe is an American science fiction and fantasy writer. He is noted for his dense, allusive prose as well as the strong influence of his Catholic faith. He is a prolific short-story writer and novelist and has won many science fiction and fantasy literary awards. 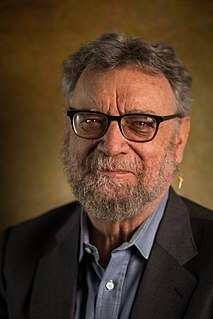 Michael Swanwick is an American science fiction author who began publishing in the early 1980s. The Forever War series is a series of science fiction novels by Joe Haldeman. Not all of them take place in the same future universe. 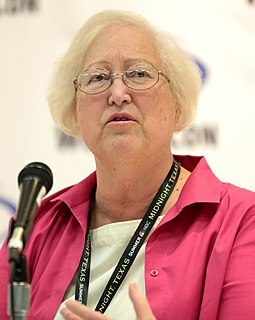 Nancy Anne Kress is an American science fiction writer. She began writing in 1976 but has achieved her greatest notice since the publication of her Hugo and Nebula-winning 1991 novella Beggars in Spain, which she later expanded into a novel with the same title. She has also won the Nebula Award for Best Novella in 2013 for After the Fall, Before the Fall, During the Fall, and in 2015 for Yesterday's Kin. Pyr was the science fiction and fantasy imprint of Prometheus Books, launched in March 2005 with the publication of John Meaney's Paradox. In November 2018 it was sold to Start Publishing. Ken Liu is an American author of science-fiction and fantasy, as well as a translator, lawyer, and computer programmer. His epic fantasy series The Dandelion Dynasty, the first work in the "silkpunk" genre, is published by Simon & Schuster. His short stories have appeared in F&SF, Asimov's, Analog, Lightspeed, Clarkesworld, and multiple "Year's Best" anthologies. Ann Leckie is an American author of science fiction and fantasy. 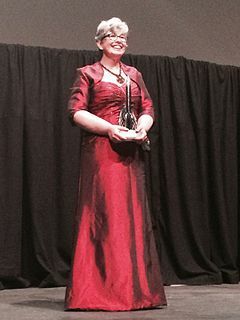 Her 2013 debut novel Ancillary Justice won the 2014 Hugo Award for Best Novel as well as the Nebula Award, the Arthur C. Clarke Award, and the BSFA Award. The sequels Ancillary Sword and Ancillary Mercy each won the Locus Award and were nominated for the Nebula Award. 1 2 3 4 5 icow.com, LLC (1998). "1998 Award Winners & Nominees". Worlds Without End. Retrieved 5 August 2009. ↑ World Science Fiction Society (1998). "1998 Hugo Awards". thehugoawards.org/. The Hugo Awards. Archived from the original on 7 May 2011. Retrieved 22 October 2010. ↑ SFWA (2010). "Previous Winners". The Nebula Awards. Archived from the original on December 17, 2005. Retrieved 22 October 2010. ↑ McCitterick, Chris (2010). "The John W. Campbell Memorial Award". www2.ku.edu/. Center for the Study of Science Fiction. Retrieved 22 October 2010. ↑ Kelly, Mark R. (2010). "Locus Awards". The Locus Index to SF Awards. Archived from the original on 8 October 2010. Retrieved 22 October 2010.